1. Start off with the official site, where you can meet mascot Haibao (the little blue guy with the Tintin hair to the right), watch promo videos, and find lists of participating countries and organizations. 2. The organizing group for the world Expos (the equivalent to the International Olympic Committee) is the Bureau International des Expositions. 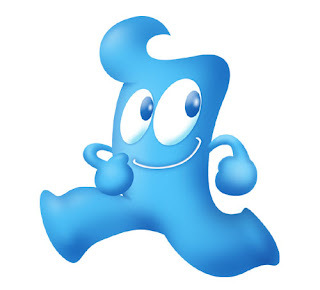 At the BIE’s website see lists and detailed information on previous Expos, the logos for coming Expos (such as the Expo that just occurred this summer in Zarazoga, Spain—seriously what is it with lumpy little blue men? ), and browse photos from select Expos. 3. The U.S. is in danger of missing out on the Shanghai Expo—federal legislation passed a few years ago prevents the government from funding the exhibit, so the endeavor has to be privately funded. This is a piece on the American group bidding to host the U.S. pavilion. 4. China Beat’s Jeff Wasserstrom's forthcoming book, Global Shanghai, 1850-2010, puts the Expo into historical perspective. my forthcoming book that places it into historical perspective. For a little insight into how he will frame the Expo historically, see this piece Wasserstrom wrote at History News Network. 5. Susan Fernsebner, who teaches in the history department at University of Mary Washington, recently published a historical piece on Chinese participation in early expos and an early expo held in China (available for those with access to Late Imperial China).